Spanish enterprise Lazpiur has a growing presence in the region, with ongoing deliveries to key customers, such as: Yazaki, Lear, Magneti Marelli, Delphi, Continental and Kimball among others. 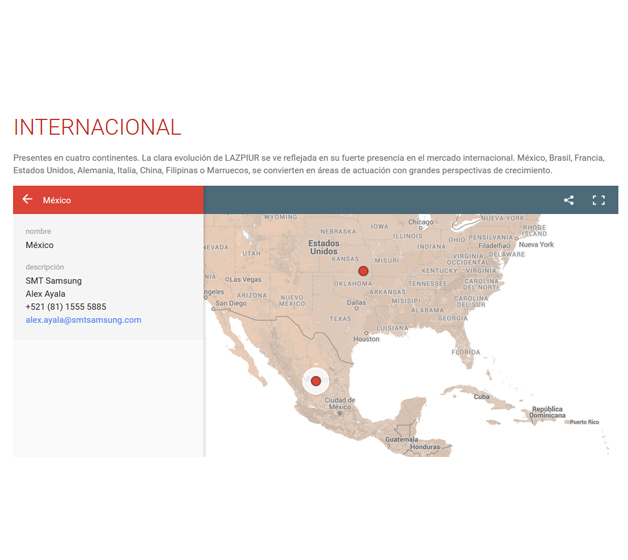 SMT Samsung has been chosen as Lazpiur’s sole distributor in Mexico & U.S.A.
With this new collaboration, Lazpiur aims to look after the very important Mexican market, with local support and on-focus dedication. Lazpiur is already active in the market with ongoing deliveries to key customers, such as: Yazaki, Lear, Delphi, Continental, Kimbal, among others. Current presence in Mexico will be reinforced with Alex Ayala as head of team and operations in Mexico for SMT Samsung. Lazpiur specializes in developing and manufacturing machinery, while maintaining constant innovation, it is present in 25 countries of four continents and works for automotive multinational firms such as Daimler, Ford or Volkswagen, as for TIER 1 like GKN, Lear among others. Lazpiur is active in the European & American markets, and it is worldwide leader in its field.